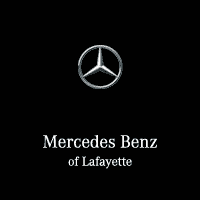 As Lafayette’s leading Mercedes-Benz dealership, we know that the best cars on the market deserve the skilled maintenance of true professionals. That’s why we offer a wide range of scheduled maintenance and repair services as well as a huge inventory of genuine OEM Mercedes-Benz parts and accessories. Our team of ASE-certified mechanics is fully licensed by Mercedes-Benz to diagnose and resolve any automotive issue and ensure your vehicle drives away in the best possible condition. Our pricing is competitive and we stand behind all of the work we do. When you want peace of mind for your Mercedes-Benz repair and a reliable partner to keep your car roadworthy, we’re your best choice. Contact us today to schedule a service appointment. Ensure your Mercedes-Benz runs smoothly for years to come by visiting our repair and service center today. When it comes to maintaining your Mercedes-Benz, using factory-approved OEM parts is essential. Whether you’re looking to have a transmission repaired or routine maintenance done, without reliable parts certified by Mercedes-Benz, you’re gambling on your car’s future performance. We carry a vast inventory of OEM parts by Mercedes-Benz for all makes and models. Our talented team of technicians has years of experience servicing Mercedes-Benz vehicles, as well as a discerning eye for detail. We stand behind all of our work and parts, and we’ll ensure you’re more than satisfied with the final results. Drive with reliability, contact us today. Your Mercedes-Benz is an amazing car, but if there’s ever trouble, then you should rely on professional Mercedes-Benz trained technicians who have the expertise to resolve any mechanical issue. We made your Mercedes-Benz the superior vehicle it is today and we want to ensure it remains that way—whether it’s taken you 10,000 miles or 100,000 miles. That’s why Mercedes-Benz of Lafayette, LA, offers tailored Mercedes-Benz service and repair, so you have access to the latest specialized technology and precise analysis from Mercedes-Benz-trained technicians. We keep our staff up to date on the best standards of practice and we’ve built a reputation for reliable Mercedes-Benz repairs, maintenance, and diagnostics. Don’t let the investment in your Mercedes-Benz fall to the wayside. Get the reliable maintenance you need, the factory approved OEM parts you want, and the customer service that’s second-to-none by contacting Mercedes-Benz of Lafayette, LA, today. Drive away with peace of mind. Schedule service for your Mercedes-Benz today.